Fish Tales and Other Stories... THE BOOK! - Fishing with Gus! Home / Books / Fish Tales and Other Stories… THE BOOK! Fish Tales and Other Stories… THE BOOK! Throughout the book, you will meet many interesting characters such as Rawhide, a crusty old striper fisherman who is obsessed with catching trophy fish and winning tournaments. Things don’t always go well for this old angler, but he keeps trying. Then, there’s Catawba Cat, who will tell a lie at the drop of a hat. He even begins to believe his own lies. Hundred pound catfish, thirty-five pound mullet and a close encounter with an African elephant in South Carolina, are just a few of the yarns he spins. Deere Jon, Catawba’s half brother, fishes for thousand pound sturgeons at Santee Cooper, while Fishmore attempts to open a theme park for bass fishermen. If you like shaggy dog stories, you’ll love the one about a fish dog and why he was banned from fishing tournaments. There is also a story about Splash, a big striped bass that tangles with a submarine, and one about Lobo, the mussel eating river creature. 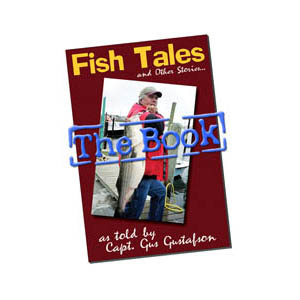 “Fish Tales and Other Stories as told by Captain Gus Gustafson” is available in local Gift Shops in the Lake Norman area, and can be ordered online from this website. Capt. Gus Gustafson, a Fishing Guide on Lake Norman, specializes in striper fishing. He has 60 years of fishing experience in both fresh and saltwater. His fishing career began as a first mate with various licensed captains on saltwater charter boats in the late 1950’s. Gus has fished Lake Norman since its inception in the early 1960’s. 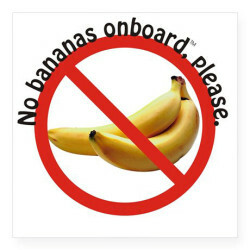 He holds a USCG Captain’s License and is approved by the Lake Norman Marine Commission to operate charter boats up to 90′. In addition to operating the “premier fishing guide service on Lake Norman,” Gus is an outdoor columnist and member of the Southeastern Outdoor Press Association. His weekly newspaper column, “Fishin’ With Capt. Gus!” is read by thousands. His web site https://www.fishingwithgus.com includes a weekly fishing column and a monthly forecast. Capt. Gus provides speeches and demonstrations to clubs and organizations concerning lake issues and boater safety. He regularly conducts fishing seminars for various clubs and has been a featured guest at several fishing/boating expos. His monthly fishing seminars are scheduled this year at Gander Mountain, Exit 36, Mooresville, NC. Capt. Gus is a graduate of Western Carolina University with a career in retail industry. He is a past President of the Lake Norman Striper Swipers, member of the Carolina’s Catfish Club, consultant for the Lake Norman Marine Commission, sits of the Board of the Lake Norman Convention and Visitors Bureau, and is a member of the Lake Norman and Mooresville Chambers of Commerce, and the Denver Area Business Association.